2. Nanda Kumar Sasi, Flavie Coquel, et al. 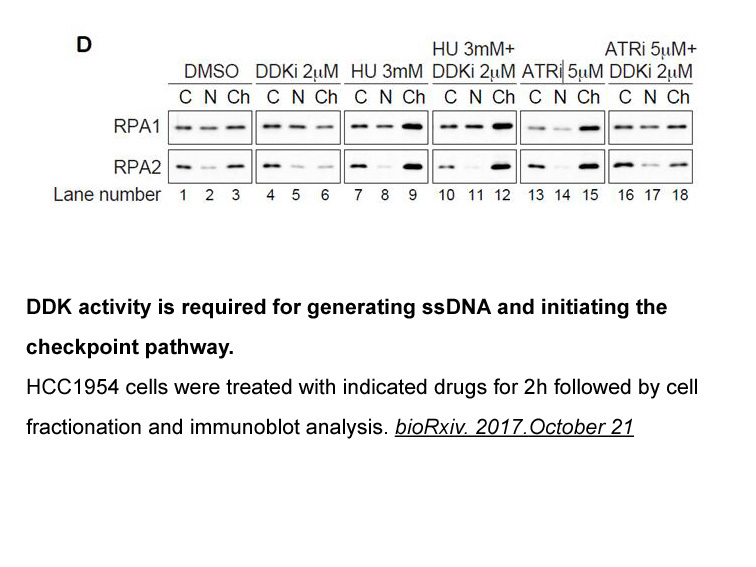 "DDK has a primary role in processing stalled replication forks to initiate downstream checkpoint signaling." bioRxiv. 2017.October 21.
. Reaper PM1, Griffiths MR, Long JM, Charrier JD, Maccormick S, Charlton PA, Golec JM, Pollard JR. Selective killing of ATM- or p53-deficient cancer cells through inhibition of ATR. Nat ChemBiol, 2011, 7(7): 428-430. 1. 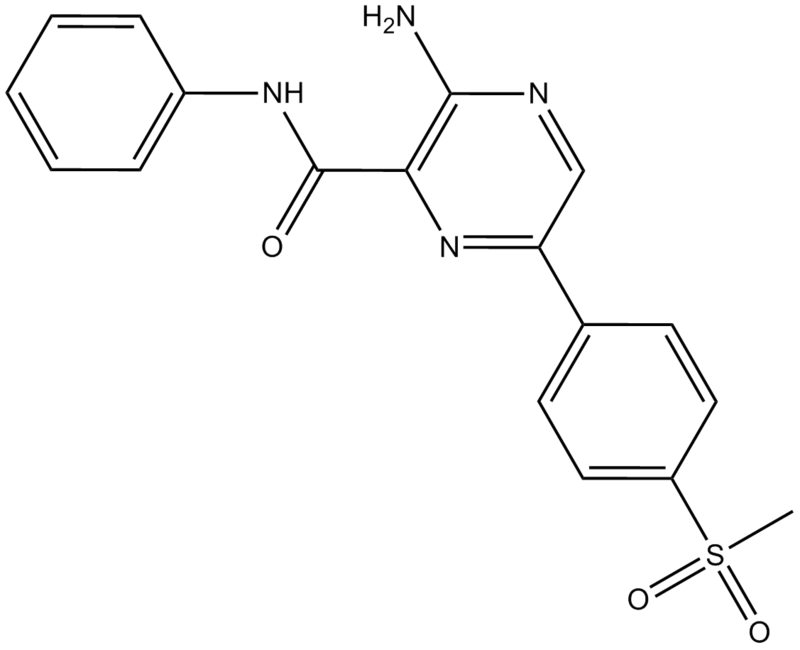 The novel ATR inhibitor VE-821 increases sensitivity of pancreatic cancer cells to radiation and chemotherapy. Cancer Biol Ther. 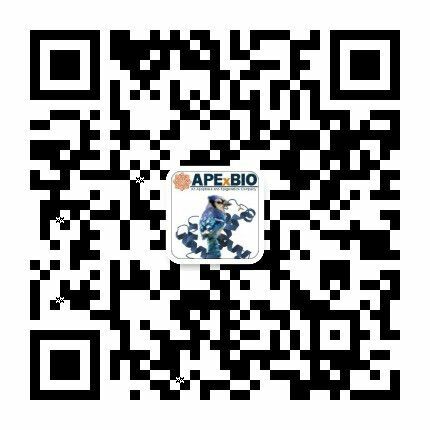 2012 Sep;13(11):1072-81. doi: 10.4161/cbt.21093. Epub 2012 Jul 24. The ATR inhibitor VE-821 significantly sensitized a few pancreatic cancer cells to DNA damaging agents, radiotherapy and gemcitabine, where IT inhibited Chk1 phosphorylation and homologous recombination repair, triggered inhibition of G 2/M arrest, reduced radiosurvival and increased DNA damage in radiation- and gemcitabine-treated cancer cells. 2. 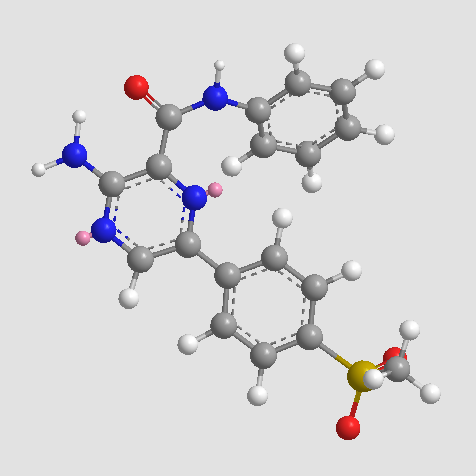 Inhibition of ATR kinase with the selective inhibitor VE-821 results in radiosensitization of cells of promyelocytic leukaemia (HL-60). Radiat Environ Biophys. 2013 Nov;52(4):471-9. doi: 10.1007/s00411-013-0486-5. Epub 2013 Aug 11. 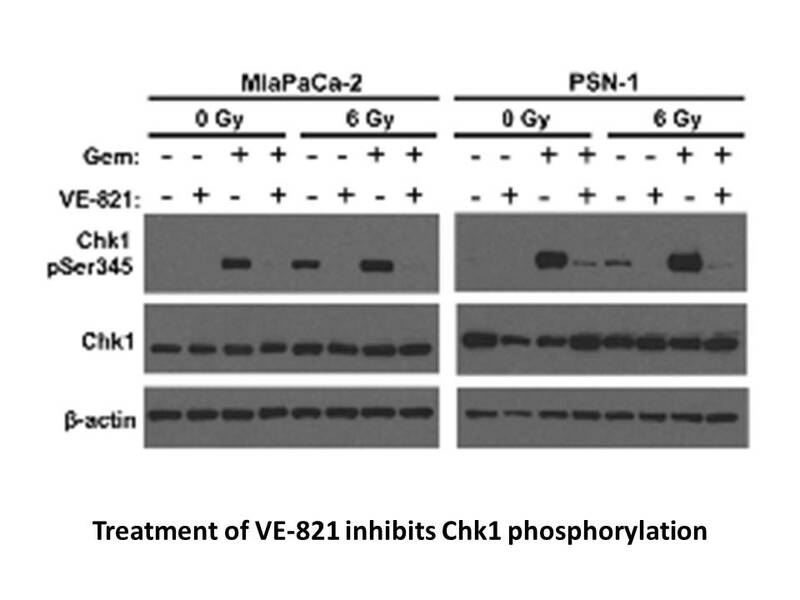 The ATR inhibitor VE-821 exerted a more pronounced radiosenstizing effect in HL-60 cells, where it reduced phosphorylation of check-point kinase 1 and the repair of the radiation damage, inhibited G2 cell cycle arrest and induced apoptosis. Reaper PM1, Griffiths MR, Long JM, Charrier JD, Maccormick S, Charlton PA, Golec JM, Pollard JR. 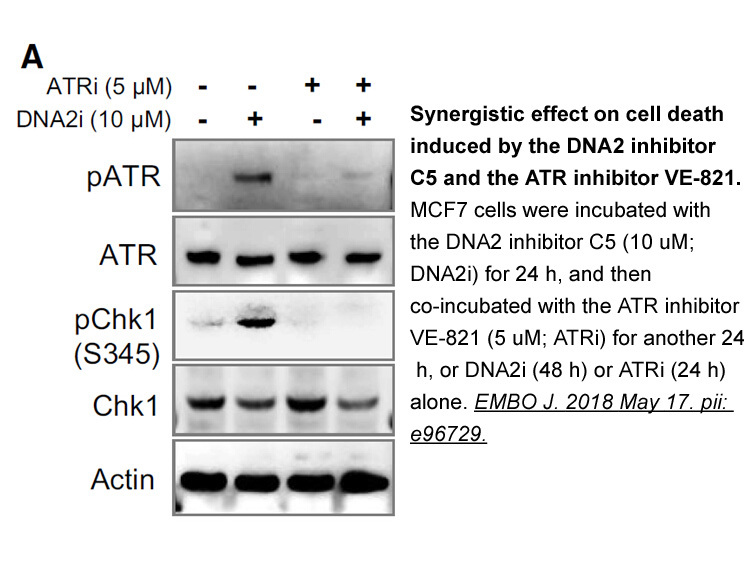 Selective killing of ATM- or p53-deficient cancer cells through inhibition of ATR. Nat Chem Biol. 2011 Apr 13; 7(7):428-30. Vávrová J1, Zárybnická L, Luká?ová E, ?ezá?ová M, Novotná E, Sinkorová Z, Tichy A, Pejchal J, Duri?ová K. Inhibition of ATR kinase with the selective inhibitor VE-821 results in radiosensitization of cells of promyelocytic leukaemia (HL-60). Radiat Environ Biophys. 2013 Nov; 52(4):471-9. Prevo R1, Fokas E, Reaper PM, Charlton PA, Pollard JR, McKenna WG, Muschel RJ, Brunner TB. 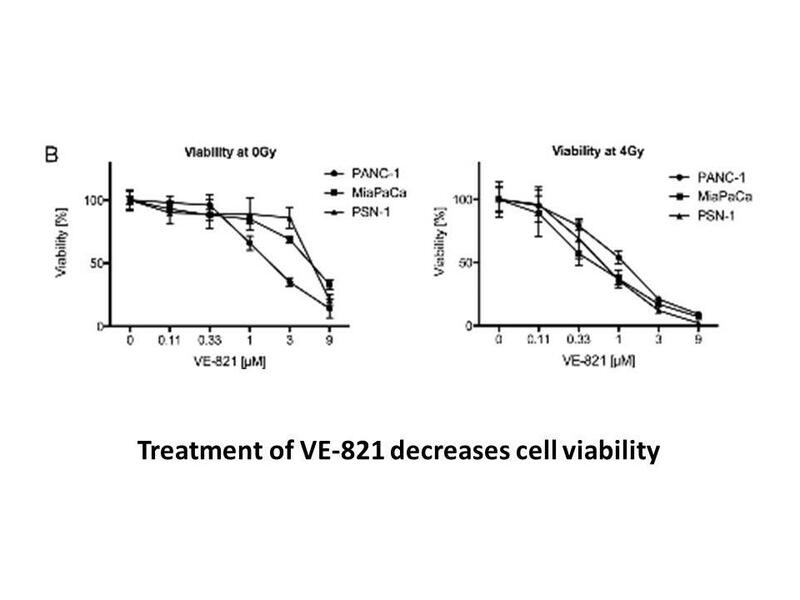 The novel ATR inhibitor VE-821 increases sensitivity of pancreatic cancer cells to radiation and chemotherapy. Cancer Biol Ther. 2012 Sep; 13(11):1072-81.